Over 160 different teams are working without stopping in a friendly competition to create the most impressive and creative app on the NEO blockchain. This is a competition that takes four months and has been created to see which teams are able to create the most engaging game based on NEO. 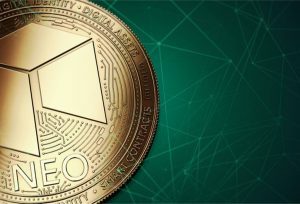 The information has been released on NEO’s website and is an event that takes place between May and August 2018. There is a prize of 3.5 million yuan for the winner equivalent to $524,000 USD. On August the 15th is the submission deadline for the projects, and the judging will take place between this date and the end of August. After it, the winning teams will be congratulated. The submissions must include access to a working version of the game that will be judged later. The competition has 39 different wards that will be issued in GAS. The most important prize is the ‘Best Game Award’ that is giving away 800,000 yuan ($120,000 USD). Other prizes are the Blockchain Award (500,000 yuan), Art Award (500,000 yuan), Game Creativity Award (200,000), Business Value Award (200,000), and many others. The judges will be Erik Zhang, founder and core developer of NEO, Jason Liu, Founder of NewEconoLabs and Neo Name Service, Zhu Wei Yu, Neo Global Capital Founding Partner, Mintao Chen, Founder and CEO of MagicOranges, Rong Deng, Manager COO and Chairman of The Dream Technology, Yifeng Liu, Operation Director of XD Technology and Xiao Xiao, Founder of Qu Wei Technology. At the moment of writing this article NEO is one of the most important virtual currencies in the market. It has a market capitalization of $2.29 billion dollars and a price of $35 dollars per coin.